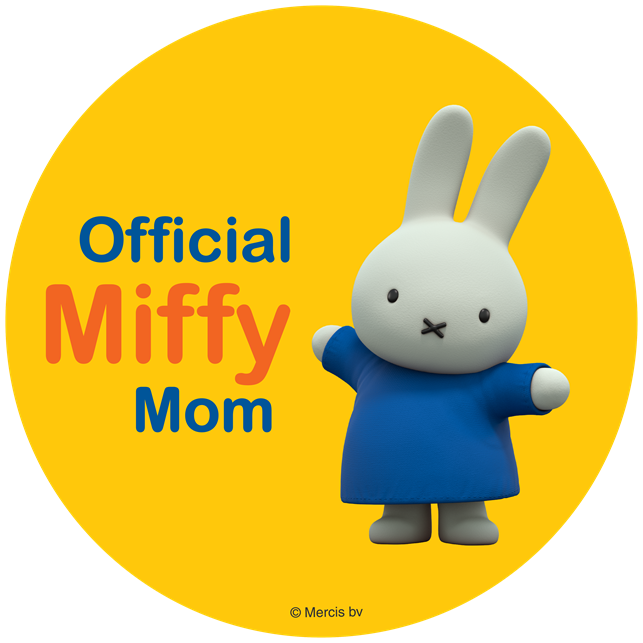 ThemeParkMama: Need a #Costume? 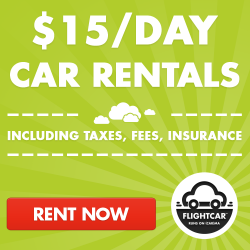 Check out Oriental Trading! OMG! How sad is it that all this time I never knew Oriental Trading had costumes! I was super excited when I was presented with a chance to check out any costume on Oriental Trading's website. My middle son Joshua is seriously ALWAYS SPIDERMAN! He lives in the costume! I swear we have had over 20 different Spiderman costumes in his 5 years of loving. So this year I told him pick out a costume you would like, first he was wanting the Spiderman! Which don't get me wrong they have a good selection of Spiderman but seriously we needed something new. Keeping on the Marvel Hero theme I knew he liked the Hulk and Ironman. We searched Oriental Trading and he pulled up the Hulkbuster. Bruce Banner's nemesis and a pretty impressive boys' Halloween costume, this Hulkbuster costume is inspired by the Hulk-fighting character in the Marvel movie, Avengers - Age of Ultron. 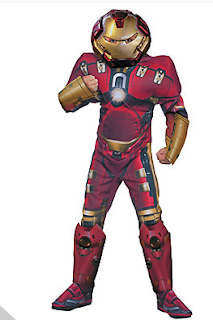 This Avenger's costume for boys is perfect for showing his strength at a Halloween party or battling the neighborhood for sweet treats! The component-printed polyester jumpsuit has a hood and padded muscles. Gauntlets, a mask and boot tops get him for the fight. 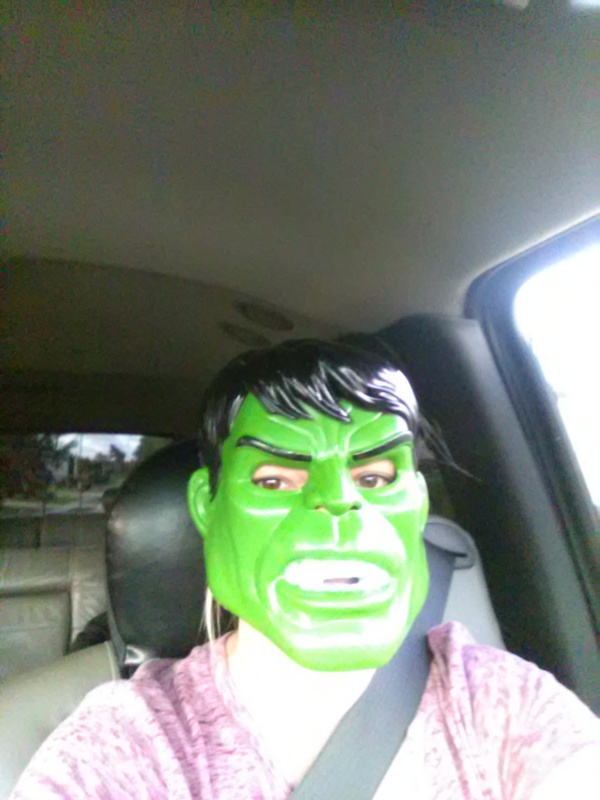 When Dr. Bruce Banner is angry, he makes a huge impact on boys' Halloween costumes! The traditional purple pants-wearing monster has a green muscled-chest jumpsuit that's a powerful version of this comic book character. 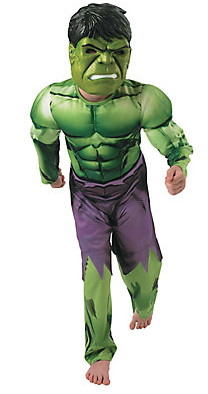 Your little hero will be ready to take on the Halloween party in this Hulk costume for boys. He'll be the heftiest superhero in the neighborhood as he battles for Halloween candy! Child size small fits sizes 4-6. (Yes, I had to play also LOL ) Thank god he finally chose something new and different. When the costumes arrived they showed up within days of ordering and the mask were such better quality of others. I was in shock, I thought I would get those cheap mask which crumble when you place them in the bag, these mask are strong heavy duty and go on with a velcro button on back. I so love the costumes and plan to purchase from Oriental Trading for all my kids costumes because I know these costumes you get what you pay for unlike MANY others. Check out all of Oriental Trading's costumes by visiting their website here. Don't forget that Oriental Trading for all your Halloween items, as well Parties, Holidays and endless possibilities.